This toy is completely natural, made of 100% cotton, linen fabrics, buckwheat hulls and Genuine Baltic amber gemstone. 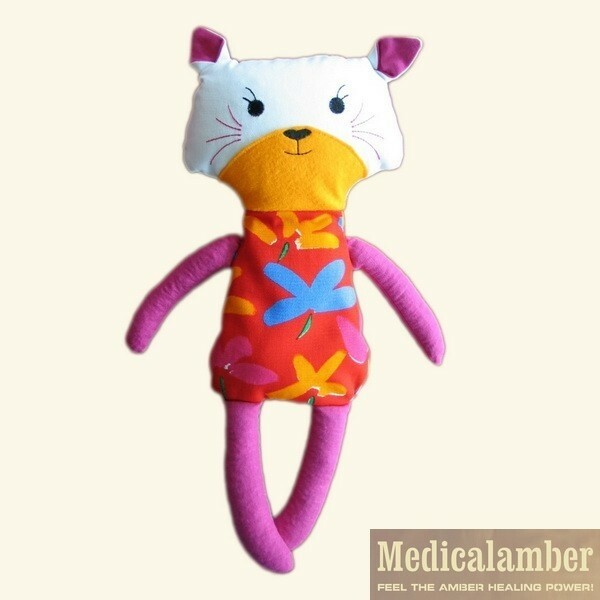 These toys are made from organic buckwheat hulls, amber pieces, 100% linen and cotton. It is a great friend for your children and a perfect detail for their room interior. What could be better than a nice, cozy, gentle friend, which you can cuddle in warm even in the coldest day. Handsome hare - a great gift for the baby, radiant comfort and good mood. Fun for children as a toy because buckwheat hulls and amber pieces which are inside, are scratch. The most interesting part of these toys for children is a crisp inside. He is so cute that, children's don't want divorce him! 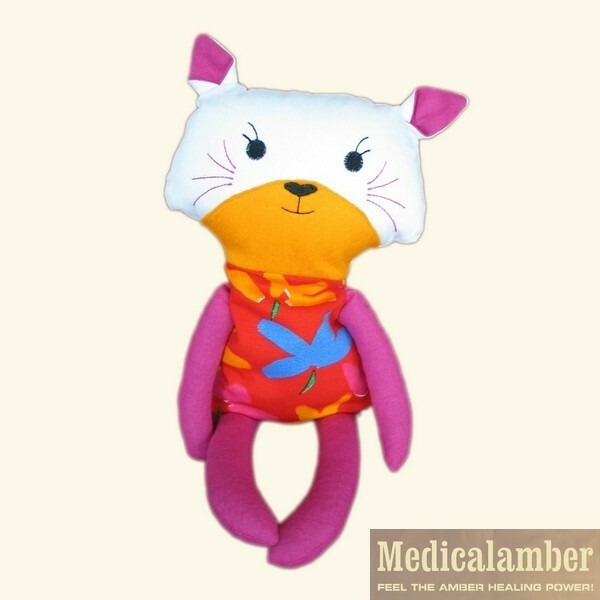 Cooling and warming toy is not only a great toy for babies and children, but also it can be used as a natural, ancient method of healing both young and old. 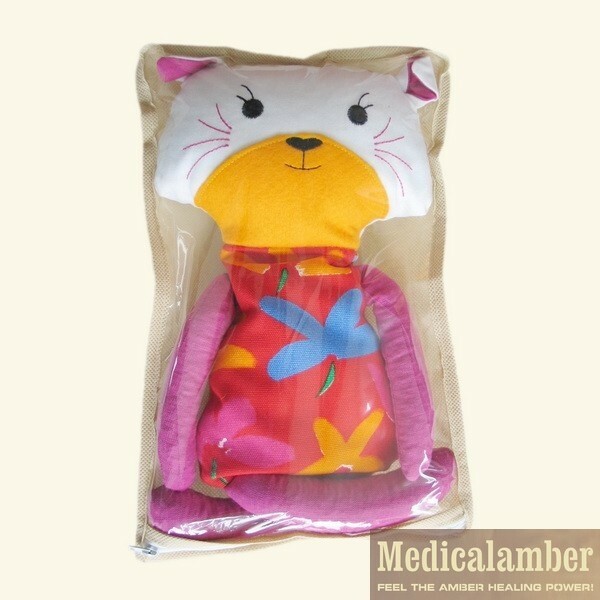 The toy inside has the bag with amber gemstone pieces (please see pictures No3; 4; 5) which can be warmed and the warm will help the child calm down, fall asleep faster, warm up a cold cot or pram. The pouch with amber pieces, which is inside the toy is removed from the abdomen of toy and heated in microwave for 1-2 minutes, or an ordinary oven 5-7 minutes 125°C (without the grill function!). 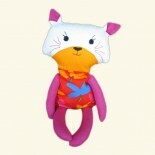 The heated pouch is placed back into the toy's belly. The pouch with amber pieces, which is inside the toy is removed and inserting in a plastic bag, refrigerated for 1-2 hours in the freezer. • The materials used are flammable because a toy is not chemically treated. • Because it is a natural, chemical free product, in summer is recommended the pouch with amber pieces put to a plastic bag and keep in the freezer. • Before use, make sure that toy for children are not too much hot or too much cold. • Do not exceed heating time and temperature, which may affect product quality. • Use of any age under the supervision of adults. This toy can be used as a children's room interior detail.